Sunny Monday was a perfect day for a quick road trip and a stopover at Heathen Brewing in Vancouver. I'd been up there several times before, most recently over a year ago. A revisit is always fun because you see progress. Heathen continues to expand its portfolio and reach. You may recall that Heathen resides in a residential garage in rural/suburban Vancouver. Yeah, it's a little odd. Founder/owner Sunny Parsons lives in the adjacent home and has a short work commute. The area around the brewery, once heavily wooded, has been cleared and stuffed with McMansions. Progress, some might say. A lot has changed since my initial visit in 2013. They were pretty small back then. Parsons and brewer Rodney Stryker did everything. But they made a name for the place with Transgression IPA, winner of the Battle of the Brews competition at the 2013 Oregon Brewers Festival. Since then, they've added employees. 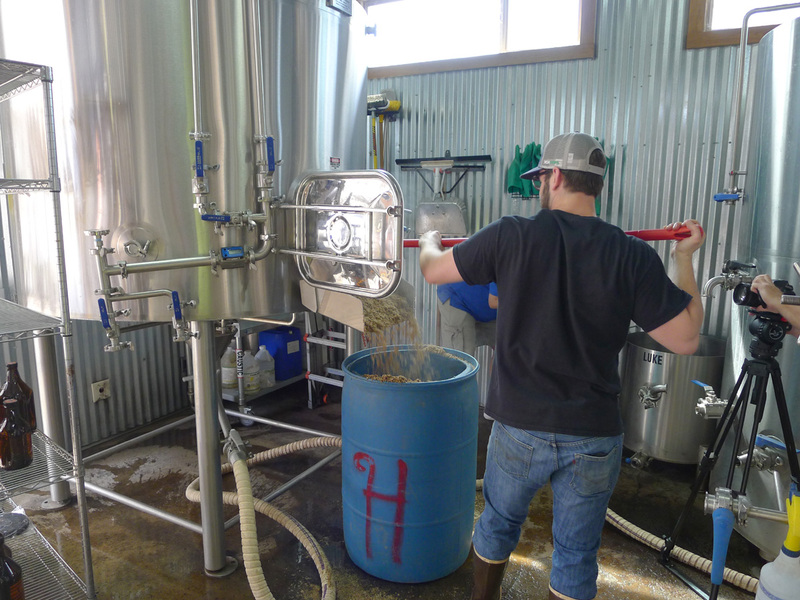 Stryker has been directing the brewing operation for more than a year. Snooping around the brewery, I spied many more beers pouring. They've dramatically expanded the list and it covers a wide spectrum of styles. They're making a lot more beer, as well. The garage, once fairly open, is packed with fermenters. And they have five larger fermenters outside. Rodney said they have more than 200 barrels worth of fermentation space. One of the goals they set early on was to have a pub, and they realized that goal last July with the opening of the Feral Public House in downtown Vancouver. It's an important addition because the brewery/tasting room is small and remote. The Feral House is the brewery's "best customer," I was told, consuming several dozen kegs a week. The big surprise on my last visit was the barrel program housed in a facility near the brewery. This is Stryker's pet project and it has grown significantly. Heathen's barrel house is now home to more than 120 barrels of beer aging in wine and spirits barrels. At Rodney's suggestion, we conducted pH testing (wink) of several barrels. The program seems to be coming along nicely. 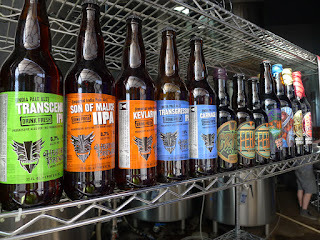 Heathen's beers are distributed by Maletis Beverage in Vancouver and by Point Blank in Portland. 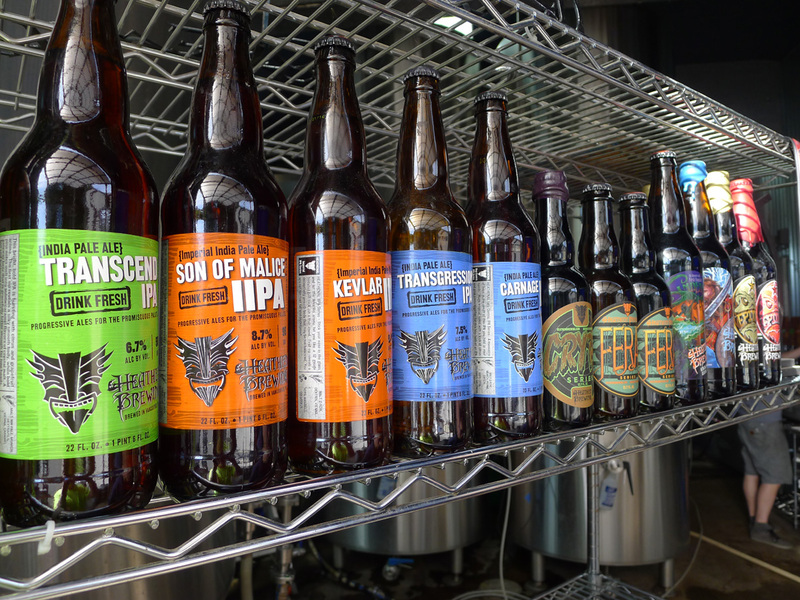 It isn't that hard to find their beer in bottleshops, beer bars and specialty stores on both sides of the river. Grocery and convenience stores are another matter. Current volume simply isn't sufficient to support ongoing sales in those outlets. "The worse thing we could do right now is make the jump to stores like Fred Meyer and Safeway and then not be able to keep the shelf space filled," Stryker said. "That's a bad scenario in the short run, but it would hurt us more in the long run because buyers remember that kind of thing." Which takes us back to the brewery, which will produce something like 2,500 barrels this year. That's a decent number, but the place is apparently woefully inefficient and takes a lot of time and effort to brew. And there's a lot of waste. 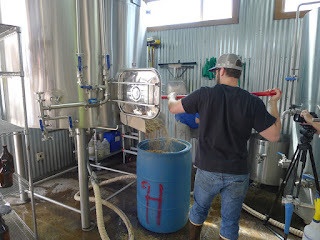 Plans for a production brewery have been in the works for several years and will likely come to fruition at some point. "I think we could probably max out at around 5,000 barrels a year where we are," Stryker said. "But I hope it doesn't come to that. We'll be in a much better position to support our growth when we have a production brewery. It's a huge investment, but something that will happen." As documented in various publications, the Vancouver/Clark County beer scene has improved dramatically in recent times. What was once a bad joke has turned into something pretty cool. Heathen is part of that, one of a growing number of breweries that are putting Vancouver on the beer map. It was a long time coming, but seeing the progress is fun.